This is the first month of a series of Question of the Month posts. The Clean Cities Technical Response Service Team provides comprehensive answers to all of our questions related to alternative fuels and advanced vehicle technologies. If you have a question that you’d like answered by the Technical Response Team please email it to jceponis@cdtcmpo.org or directly to the team at technicalresponse@icfi.com. Question of the Month: What is the current status of the Renewable Fuel Standard (RFS) and how do the new 2014 proposed requirements differ from previous years’? Total renewable fuel: The total amount of renewable fuel required to be blended into the fuel supply each year, which includes conventional and advanced biofuels (defined below). Conventional biofuel volume requirements are simply the total renewable fuel volume requirements minus the advanced biofuel volume requirements. While EISA specified volume requirements for most categories through 2022, the statute allows EPA to reduce these volumes under certain conditions (see below for further discussion). Each renewable fuel category is described below. Conventional biofuel: Any fuel derived from approved sources of renewable biomass that reduces greenhouse gas (GHG) emissions by at least 20% from baseline petroleum GHG emissions. Conventional biofuels are generally produced from starch-based feedstocks (e.g., corn, sorghum, wheat). Advanced biofuel: Any fuel derived from approved renewable biomass, excluding corn starch-based ethanol. Biomass-based diesel and cellulosic biofuel volume requirements fall under this overarching advanced biofuel category. Note that remaining advanced biofuel volume requirements not met by cellulosic and biomass-based diesel can be met with other advanced biofuels, and cellulosic biofuel and biomass-based diesel volumes that exceed their volume requirements also may be used to meet the advanced biofuel quota. Other advanced biofuels may include sugarcane-based fuels, renewable diesel co-processed with petroleum, and other biofuels that may exist in the future. Advanced biofuels must reduce GHG emissions by at least 50% from baseline petroleum GHG emissions. Cellulosic biofuel: Any fuel derived from cellulose, hemicellulose, or lignin. These fuels must reduce GHG emissions by at least 60% from baseline petroleum GHG emissions. Biomass-based diesel: A diesel fuel substitute made from renewable feedstocks, including biodiesel and nonester renewable diesel (diesel produced from animal- and plant-based fats, oils, and greases). It cannot be co-processed with petroleum; however, those fuels fall under the general advanced biofuels category. Biomass-based diesel must reduce GHG emissions by at least 50% from baseline petroleum GHG emissions. 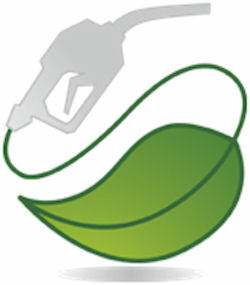 For a list of fuel pathways that qualify under each renewable fuel category, see Title 40 of the Code of Federal Regulations, section 80.1100-80.1167 (http://www.gpo.gov/fdsys/pkg/CFR-2011-title40-vol16/pdf/CFR-2011-title40-vol16-sec80-1426.pdf). Any party that produces gasoline or petroleum diesel for use as transportation fuel in the United States, including refiners, importers, and blenders (other than oxygenate blenders), is considered an obligated party under the RFS program. Each year, EPA determines the Renewable Volume Obligation (RVO) for obligated parties. The RVO is calculated as a percentage, by dividing the amount of renewable fuel (gallons) required by the RFS2 for a given year by the amount of transportation fuel expected to be used during that year. While EISA specified most volume requirements through 2022, the law did not address the biomass-based diesel requirement beyond 2012 and left some flexibility on the cellulosic biofuel requirement. The statute also allows EPA to change requirements under certain conditions, including when (1) the projected production of cellulosic biofuel in any year is less than the volume specified in EISA or (2) conditions are met under the general waiver authority provided by the Clean Air Act. In 2013, EPA requires obligated parties to meet the following volume requirements collectively. Also included are the associated RVO percentages. On Nov. 15, 2013, EPA published a proposed rule to establish new volume requirements and associated percentage standards for 2014. For the first time, EPA is requesting comments on a range of volumes for each renewable fuel category to determine a final requirement (see table below). Also for the first time, the proposed total renewable fuel volume requirement is lower than statutory levels mandated in EISA to resolve compliance concerns related to the ethanol consumption “blend wall” (discussed below) and renewable fuel production constraints. The table below outlines the proposed new volume requirements and the associated RVO percentages. The ethanol “blend wall” refers to the difficulty of incorporating an increasing amount of ethanol into the transportation fuel supply at percentages exceeding 10%. Almost all gasoline sold in the United States is E10 (10% ethanol, 90% gasoline). While blends as high as E15 (15% ethanol, 85% gasoline) can be used in some conventional vehicles, these blends are difficult to market on a widespread basis because they can be used only in flexible fuel vehicles (FFVs) and model year 2001 and newer vehicles due to equipment compatibility issues. Additionally, “E85” (51%–83% ethanol blended with gasoline) and other mid-level ethanol blends can be used only in FFVs. EPA has proposed the lower advanced biofuel and total renewable fuel volume requirements above for 2014 due to the anticipated inability of the market to supply the Congressionally mandated volume of renewable fuels to consumers in 2014. In conjunction with the 2014 volume requirements and percentage standards, EPA is also considering a joint petition from the American Petroleum Institute and the American Fuel & Petrochemical Manufacturers, as well as individual petitions from several refining companies, requesting a partial waiver of the 2014 applicable volumes under RFS2. EPA is collecting comments on both issues through Jan. 28, 2014. The proposed rule and EPA fact sheet can be accessed at http://www.gpo.gov/fdsys/pkg/FR-2013-11-29/pdf/2013-28155.pdf and http://www.epa.gov/otaq/fuels/renewablefuels/documents/420f13048.pdf, respectively. Additional information can be found on the EPA RFS2 (http://www.epa.gov/otaq/fuels/renewablefuels/index.htm) and Alternative Fuels Data Center RFS Program (http://www.afdc.energy.gov/laws/RFS) websites.